It is hard for a pet parent to lose their fur child. 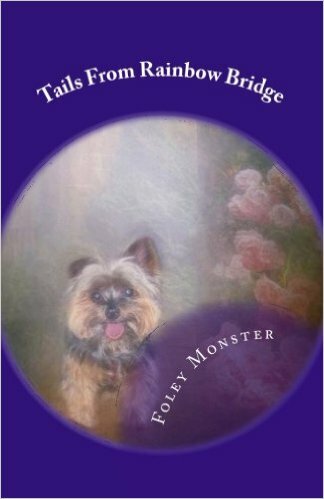 It is terrible for a pup siblings when one of them passes to the Bridge, and the other suddenly finds herself alone. Sadly, that happened to our friend Mama Deborah and Maya when Jeni departed for Rainbow Bridge this week. Jeni had been sick for a long time. She kept borrowing heartbeats to stay with her mom and sister. But the thing about borrowed heartbeats is that they aren’t as strong as your own heartbeats. They leave you weaker. The more you borrow, the weaker you become. Jeni had borrowed a lot of heartbeats. We dogs can sense when a sibling is ill, and there is an instinct, deep inside of us, that we often keep buried, but occasionally rears its ugly head, that causes us to attack a weaker sibling. That is what Maya did. And that attack made their mom make the most difficult decision. Jeni no longer was the dog she had been. Her strength and will were gone. Jeni still had a bit of dignity, and her mom wanted her to keep that as she crossed the Bridge. Maya was left with the guilt of knowing the fight precipitated the decision. Jeni was a rescue dog who wasn’t supposed to live past two but came within 40 days of living 15 years. She had an array of health problems, but she defeated each one. She was her mom’s rock and her heart. And now all that was left was to say goodbye. Maya went with her mom and Jeni to see Jeni off on her voyage. Deborah wrapped Jeni, her little Shiba Diva in her blanket like a baby. Deborah held Jeni and stroked her thanking her for being an amazing dog as Maya watched. Jeni’s soul slipped out of her and arrived at the Bridge, young, happy and full of life again as she splashed in the puddles caused by the tear clouds. Scooby had specially made Jeni wings of pure gold to match her fur. This made Jeni the fastest flyer I have ever seen. Every chance she gets she flies home to ghost her mom. What she has found made her upset. She expected her mom to be in mourning but so was Maya. After Jeni had passed Maya whimpered, knowing her best friend was gone. She was allowed to spend a few moments with Jeni’s vacated body to say goodbye. Since then she has been quiet. She has shown little interest in and prefers to be with her mom where they could comfort one another. Jeni not only had a broken-hearted mother but a brokenhearted sister too. The good news is that Jeni can enter Maya’s dreams, they can go on adventures, and Maya will remember them. Deborah may slightly remember these dream visits when she awakens, but they quickly dissipate as all the complication of human remembrance wipe them away. This is a Lovely Post about some very sad news. I love you Marsha, Ted, Pocket, River and of course the head Honcho; Foley our Angel in Chief. Your philosophy, as akways, brings dog logic to us mortals in a way that angels do. With our hearts in mind. Thank you. Jeni was one of my brother Chauncey's first friends on the old Doggyspace. I am sure he was there to greet her. When Joey dog passed, Chester kept looking for him. It took several months before he finally accepted that Joey was not coming home. So sad, but your words have a way of making things a bit brighter. When Angel Ciara lost Angel Thunder, Mom and Dad saw a lot of that mourning in Ciara. Soft woos and gentle hugs to Jeni's family from all of us. We are so sorry to hear about dear Jeni and send hugs to her special family. Thank you all so very much. It means the world to Maya, to me and to Jeni's "boy", my now grown son, Anthony, who sadly couldn't make it home before Jeni had to leave. He is sad beyond words that his girl is gone but is comforted that he knows she left in loving arms.